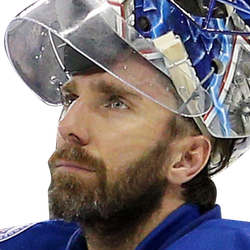 Vladislav Namestnikov scored with 13:50 remaining and the goal held up as the winner for the New York Rangers in a 2-1 victory against the host Carolina Hurricanes on Tuesday night at Raleigh, N.C.
Rangers goalie Henrik Lundqvist made 43 saves and was under heavy pressure late in the game. Namestnikov's goal came on the second rebound of a sequence and just seconds after a Rangers power play had expired. Connor Brickley scored earlier for the Rangers. Jordan Martinook collected Carolina's goal just before the midway mark of the second period. Carolina dropped to 23-6-2 in games in which it has scored first. The Hurricanes are 16-6-1 over their last 23 games, but they failed to finish a three-game homestand with a successful result. The Rangers completed a four-game road stretch 2-2 and are 4-4-1 this month. 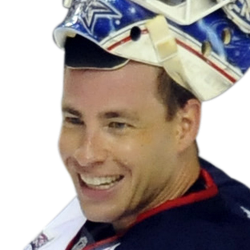 Hurricanes goalie Curtis McElhinney stopped 24 shots. The Hurricanes came hard in the third period, taking 18 shots on goal but failing to produce a goal. Martinook's goal opened the scoring when he converted on a rebound. The scoring sequence was set up with passing from Dougie Hamilton and Andrei Svechnikov. It was Martinook's first goal in seven games. Less than a minute later, Brinkley's goal came when the puck bounced off his chest and into the net. The tally was initially waved off when it was ruled he batted the puck into the net, but a video review overturned that call. Before the go-ahead goal, New York had a potential goal wiped out earlier in the third period. It was ruled that Rangers forward Chris Kreider caused interference when he knocked Carolina defenseman Justin Faulk into McElhinney. Namestnikov posted his third goal of the road trip. The Rangers didn't convert on a power play with a chance to build on the one-goal lead. The Hurricanes used McElhinney even though goalie Petr Mrazek had registered a 27-save road shutout of the Rangers earlier in the month. Mrazek also recorded a shutout Sunday against the Dallas Stars.